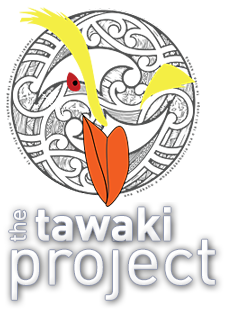 Since the first recce trip to Breaksea Island in September 2003, the Tawaki Project has seen involvement of quite a few people. And there will be quite a few more – from New Zealand as well as the rest of the world – who will be involved in the years to come. To introduce all of them would probably require its own website. So here we will primarily introduce the people that readers will encounter in in the Research Diary. The principal investigator and man-for-device-deployments-on-penguins. With 15 years of experience in research, most of which revolved around penguins.Thomas started off studying the foraging ranges of Little penguins on Motuara Island and at Oamaru using old fashioned radio telemetry, before continuing his research on Snares and Yellow-eyed penguins as one of the first scientists to successfully deploy newly developed GPS dive loggers. He has also worked with Humboldt penguins in Chile (with his wife Ursula Ellenberg, see below). Thomas also maintains the research diary on tawaki-project.org. Ursula is the second mastermind behind the Tawaki Project and Thomas’ partner-in-crime in many penguin related research projects (and vice versa). Her main focus is the exmination of disturbance effects on seabirds in general and penguins in particular. Her work on the effects of tourism on Yellow-eyed penguins earned her the prestigious MacDiarmid Award and has led to substantial improvements in conservation and management of penguins in New Zealand and Chile. Ursula is an extremely versatile scientist with a broad interest and an even broader spectrum of research experience. When Thomas and Ursula work on New Zealand penguins, Dave is often not far. Without Dave the world would know a whole lot less about New Zealand penguins. Time and again he throws his weight in when it comes to research projects hitting brick walls (of which there is a surprising abundance in New Zealand be it obtaining permits or appeasing stakeholders). Not to mention that he knows his penguins. He is one of the few people in New Zealand who has seen and worked with all six NZ species, be it on subantarctic Islands – Erect-crested penguins, Rockhopper penguins, and Snares penguins – or the mainland – Little penguins, Yellow-eyed penguins, and now, Fiordland penguin. In recent years he’s worked primarily in and around the Chatham Islands (read more about his work here). But most importantly he is a truly fantastic guy, and a joy to have around and work with. Popi Garcia-Borboroglu – the world would probably not even know that there are such things as penguins without him. Speaking of fantastic guys… here is another one who can maintain utmost positivity even under the most adverse circumstances, Pablo “Popi” Garcia-Borboroglu is one of the most important people in the world of penguins these days. As president of the Global Penguin Society, he effectivly acts as the central node in the network of penguin scientists on this planet. In his role as PEW fellow he has the ears of many decision makers and uses every opportunity to drive conservation and research efforts for the world’s penguin species forward. Of course, he is also a seasoned veteran with some 20+ years of penguin research under his belt and continues to be a central figure in the research of Megallanic Penguins (and other seabirds) in Argentina. If there is one name that has been and keeps popping up when it comes to foraging research in penguins, it’s Klemens Pütz. His penguin work brought him to all the interesting yet far flung places in the Southern Ocean and the subantarctic region. There are few King penguins, Magellanic penguins and Rockhoppers that haven’t had contact with Klemens who is the master of attached data recording and transmitting devices. It is truly remarkable that it took him almost 30 years to finally work on New Zealand penguins. Obviously, Klemens is an endless source of penguin related anecdotes so field work is never a dull moment with him. If anyone knows tawaki it’s gotta be Robin. She was born and grew up litterally next to one of the greatest tawaki colonies in New Zealand, at Gorge River, South Westland. Exploring the rugged coastlines of South Westland and Fiordland searching for tawaki is one of her favourite things. And she does not even need shoes to do so; in fact, she prefers to feel the forest floor between her toes – unless health-and-safety requirements get in the way when she is doing work for the Department of Conservation. She is also a ranger and trustee with the West Coast Penguin Trust and often gets exctited when she stumbles across the most obscure mosses and lichens. Horst “Hotte” Mattern – the man who believes his friends think he’s crazy for sitting hours in a tent hide waiting for penguins – and doesn’t care. The father of Thomas is not only an ex-Olympian and successful canoe racing coach, but also an experienced field worker that has earned a reputation of fearlessly crawling through dank penguin breeding sites in pursuit of birds carrying expensive electornics on their backs. Hotte has worked with three of the New Zealand penguin species, mainly in the capacity as the person who holds them (and gets bitten in the process) while others deploy or peel-off data loggers. His skills as a tradesman also make him an a valuable asset in any research endeavour, although his cooking skills leave a lot to be desired. Jeff White grew up in Memphis, Tennessee (an area severely lacking in penguins) and spent much of his time in the woods searching for wildlife. On a trip to work with Hooded Grebes in Argentina, he encountered his fist wild penguins and has been determined to learn more about penguin biology ever since. He is currently a Masters student at Marshall University, USA and is looking at Tawaki foraging ecology though stable isotopic analysis of feathers and blood. Although there is a bit of a learning curve, he is slowly managing to navigate the bush and hopes to continue down the path of penguin science. For the umpteenth time, Thomas and Ursula called on the short endurance racer from Germany/Chile/South Africa (you can’t really tell as she speaks all the native tongues incredibly fluent and convincing, dialects and all) – and Katta came to the rescue. Her penguin work has brought her to Chile (Humboldt penguins), the Falklands (Rockhopper penguins), the Snares (Snares penguins), as well as Namibia and South Africa (African penguins). Most recently she has become the Research Officer at SANCOBB.